Today, I hope you’ll allow me to tell you about someone I have had the honor of working closely with. He’s my hero too. 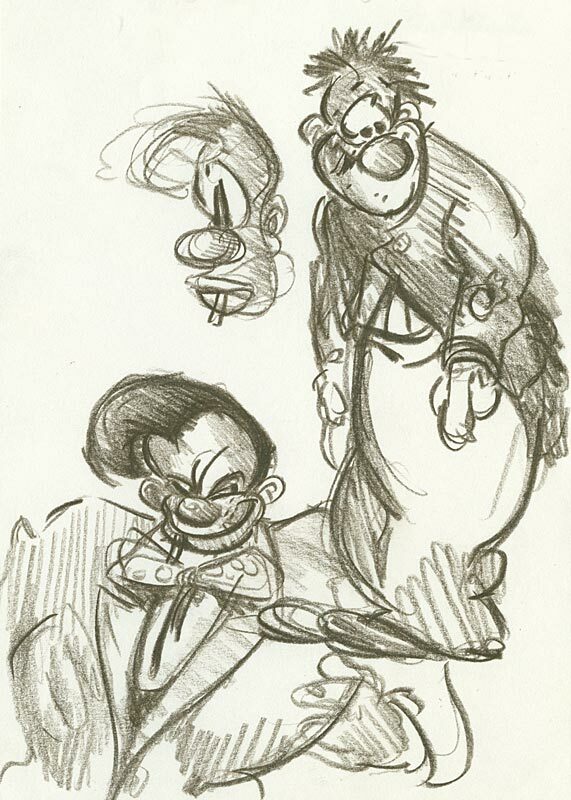 If anyone ever creates a Mount Rushmore of animation, his head should be right up front, grinning with a stub of a cigarette in his mouth– Ralph Bakshi. I did a panel discussion with Ralph at the San Diego ComicCon a couple of years ago. 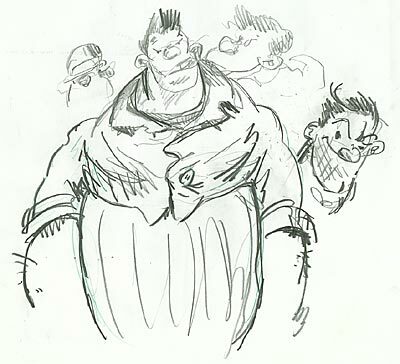 You can find it linked in the article, Advice From Ralph Bakshi. 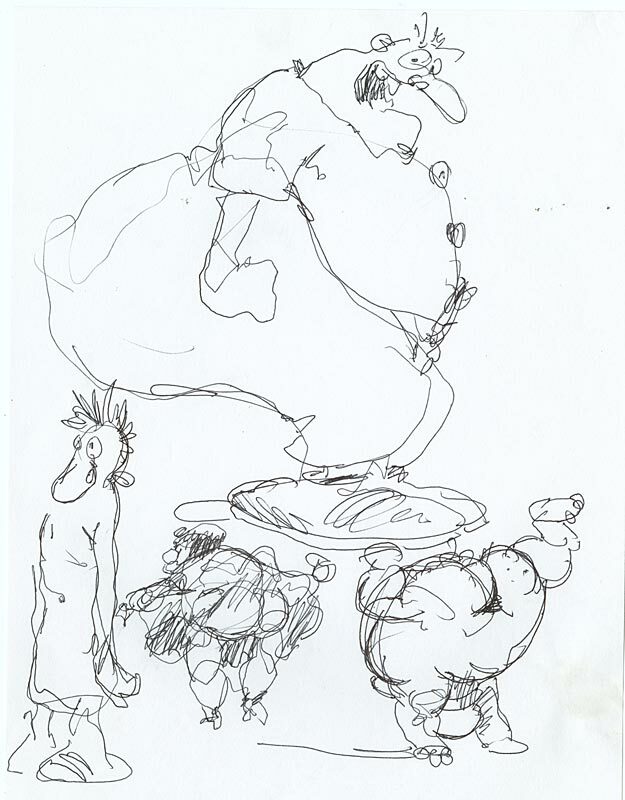 The subject of our discussion was what it means to be an artist and cartoonist in today’s world. Whether you’re lucky enough to be able to make a living doodling, or if you still dream of being paid to create, you need to heed Ralph’s advice. He is the real deal. 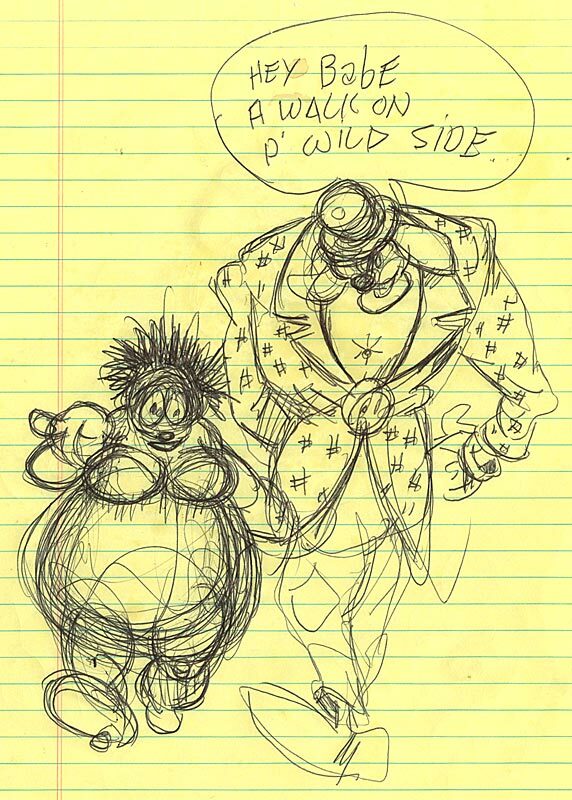 If you’re an artist working in animation, whether you know it or not, Ralph Bakshi is the reason you’re here. Don’t believe me? Throw your mind back to 1970. Look at what the animation business had turned into… Disney was cranking out Robin Hood, a film without a single new idea. On TV, Filmation was lowering the bar so Hanna Barbera could play “quality limbo” with them. 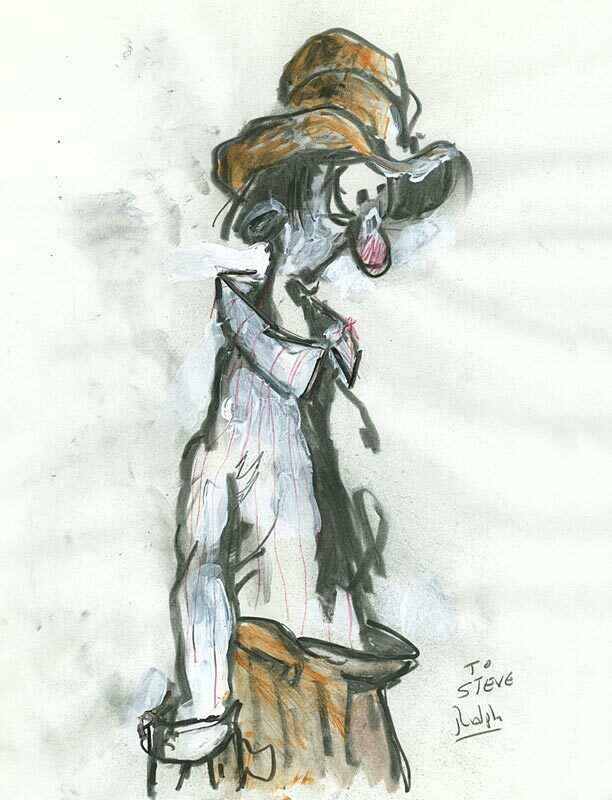 Animation was dying, animators were choosing retirement over flogging the dead carcass of the art form they loved, and it looked like it the situation would never get any better. 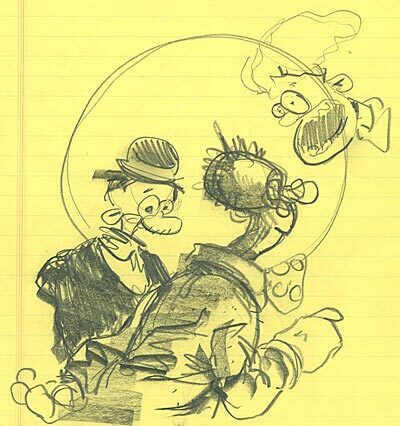 Enter Bakshi. With his first three films, he turned animation upside down. He showed that it wasn’t just a medium for big bears with Phil Harris’s voice and crappy sitcom characters in outer space. His films shocked and terrified people… they were crass and sloppy. They were made on a shoestring, and sometimes it showed. But they had something honest to say, and that got noticed. 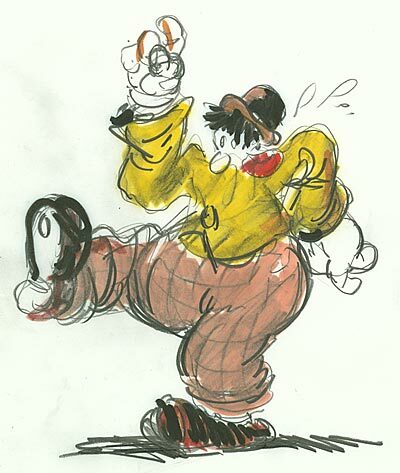 Ralph showed that animation- the most collaborative art form ever- could be an intensely personal medium. 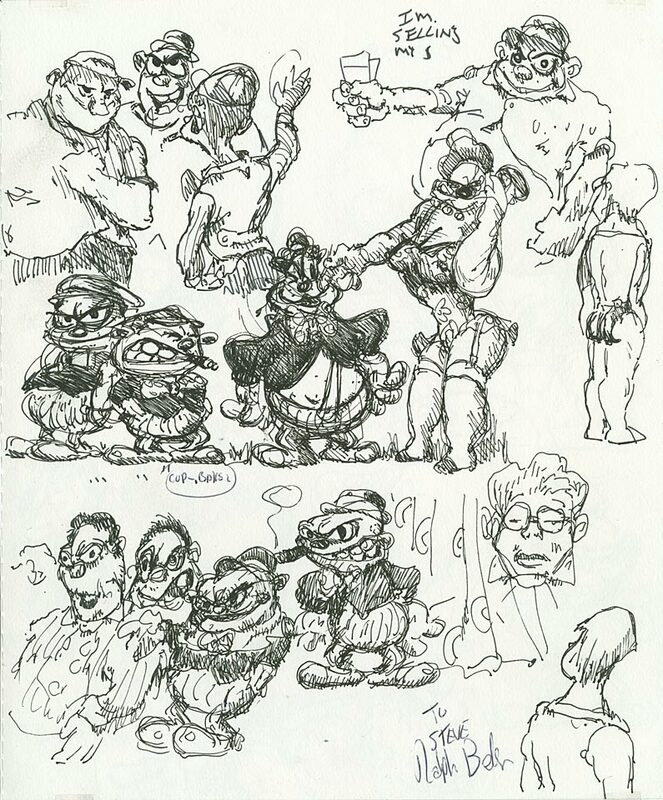 Ralph’s first three films- Fritz the Cat, Heavy Traffic, and Coonskin- came totally out of the blue. 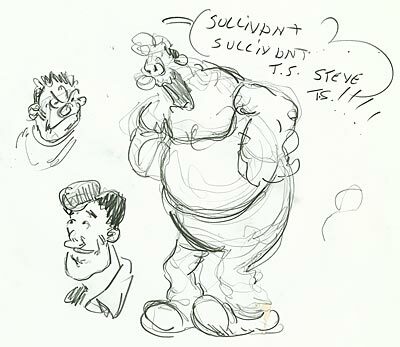 They are the animation equivalent of Louis Armstrong’s Hot Fives. Great old time animators like Irv Spence, Manny Perez, Ambi Paliwoda and Virgil Ross were offered the opportunity to cut loose and make films that weren’t just cats chasing mice and dogs chasing cats. These films dealt with what it meant to be an artist, the battle of the sexes, race relations, and the unsenimentalized realities of urban life. They were improvisational and had no rules. These three films, made in the darkest of the dark ages of animation, offered a glint of hope for what animation could become. If all you’ve seen of Ralph’s work is Lord of the Rings and Fire and Ice you don’t know what I’m talking about here. All of the adult targeted animation you see in the US today has its roots in Ralph’s example in these three films. They stirred up controversy and caused riots at screenings back in the day, but now they seem to us like they could have been made yesterday, not three decades ago- except for the fact that today’s world has trouble accepting brutal honesty when it comes to politically charged topics. Ralph has never been one to pull punches. In the 1980s, Ralph did for television animation what he did for theatrical features, blowing the lid off of CBS’s Saturday morning schedule with Mighty Mouse: The New Adventures. 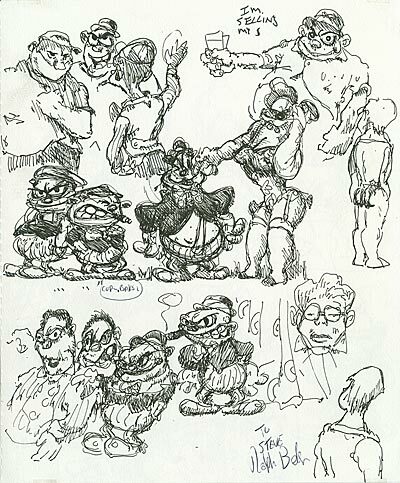 Ralph took a chance on the ideas of a kid named John Kricfalusi, and set up the studio after the unit structure model used at Warners. Stories were written with storyboards again. Artists were cut loose to create cartoons. Without Mighty Mouse, there never would have been Ren & Stimpy or The Simpsons. 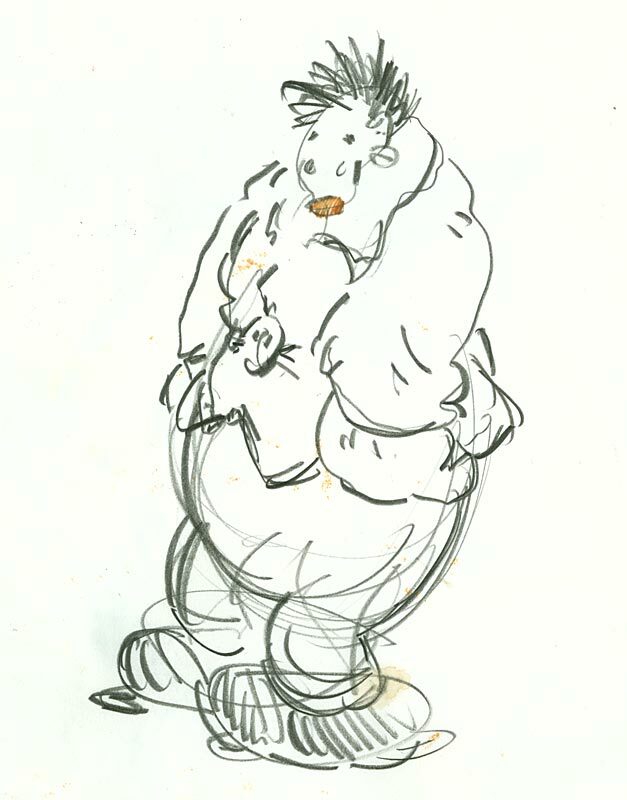 The artists who worked on Mighty Mouse have gone on to lead the TV animation industry. Ralph is an absolute genius when it comes to spotting raw talent. He can take a kid straight out of school and turn him into a pro faster than anyone else. Every film had its "graduating class" of kids. 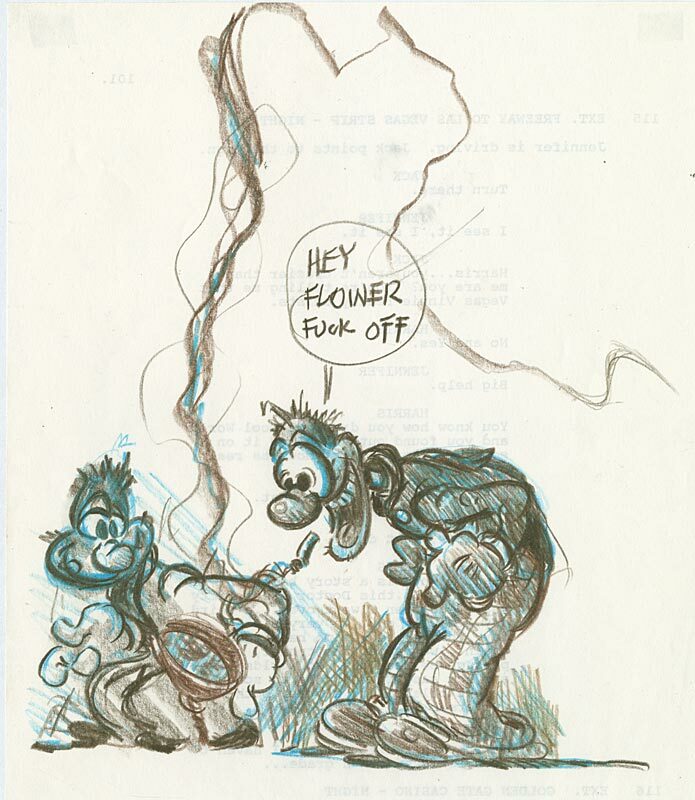 Those kids now populate the animation business on every level, from the hotshots at Pixar and Disney to the creative sparks at Warners. 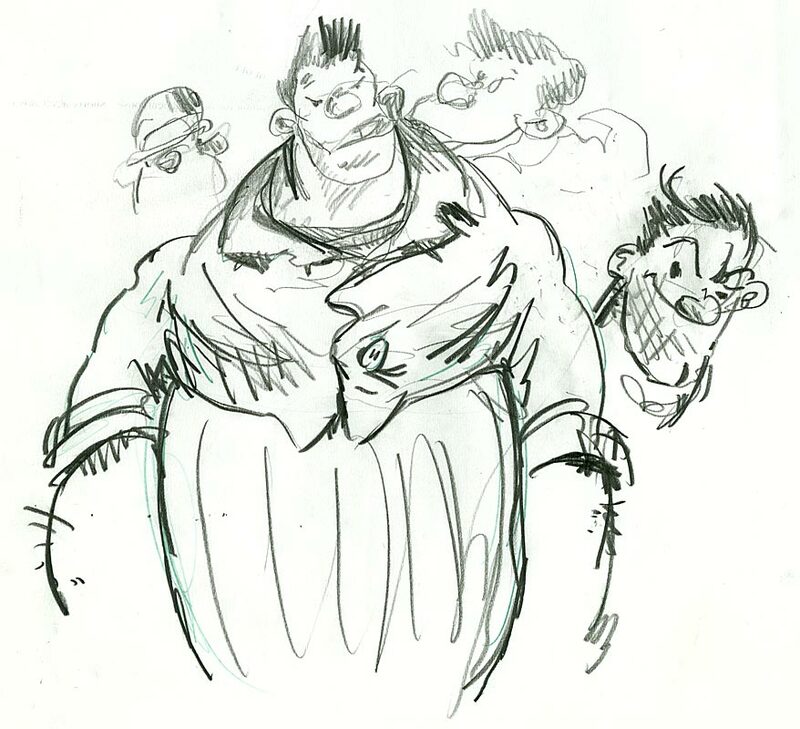 I know of Bakshi alumni who are top dogs at Dreamworks and the CGI companies too. As a filmmaker, Ralph is one-of-a-kind. He doesn’t make films for executives… he doesn’t even make films for a specific audience. He makes them for himself. You can count the number of animators capable of using this unweildy medium for personal expression on one hand and still have fingers left. Ralph is one of them. 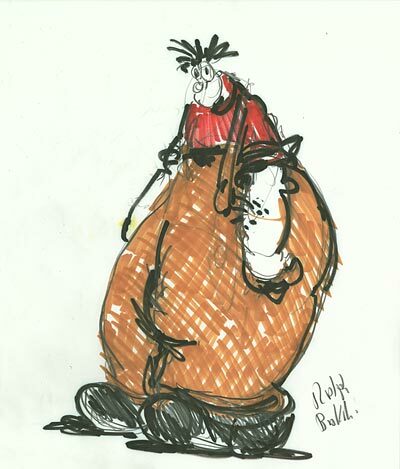 But Ralph is not only the greatest living animation artist. He is the catylist that has more than once pulled the industry out of a hole so deep people had just about given up on cartoons. For that alone, he deserves the respect of any and all animators, whether they like his work or not. 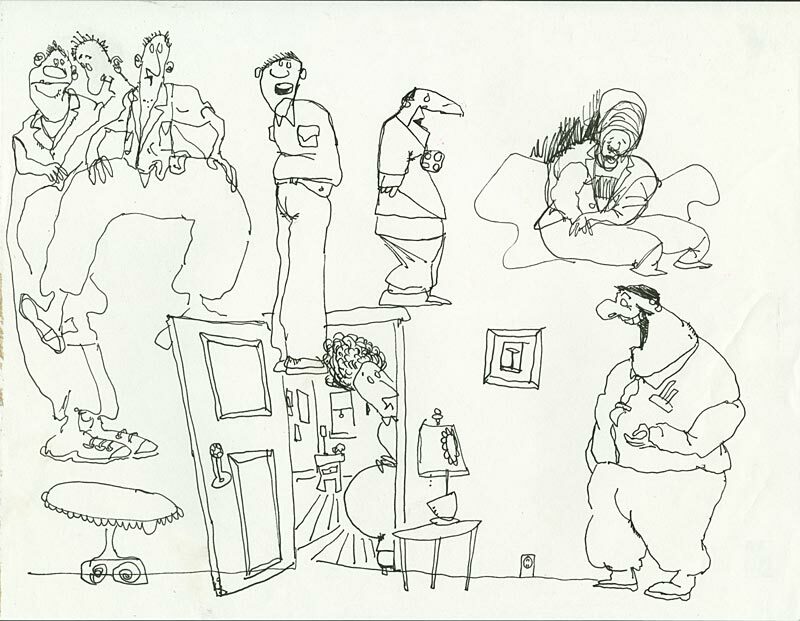 If this business needs anything right now, it’s another go round with Bakshi. The era of shi-shi “distressed” animation desks complete with faux wormholes, and middle management producers driving Jaguars paid for by their bonus checks is over. That was great for the people lucky enough to hook up to the gravy train while it lasted. But times have changed. The people left standing will be the ones who REALLY CARE about the medium of animation. You can take my word for the fact that no one loves cartoons more than Ralph. Sit down and ask him about Jim Tyer. (Ralph was Tyer’s assistant…) Listen to what he has to say about Spence or Maltese or any of the other old timers he brought in to work on his films. Ralph lives and breathes animation. His drawings are imbued with the whole history of the medium. He announces his retirement every once in a while, and swears off cartoons forever, but it’s in his blood. 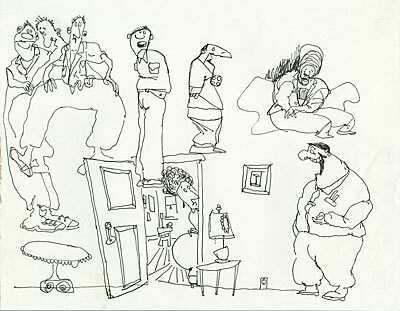 Just count the days till the bellowing voice out of the blue hollers “BAKSHI’S BACK, YOU BASTUHDS!” over the studio intercom again. 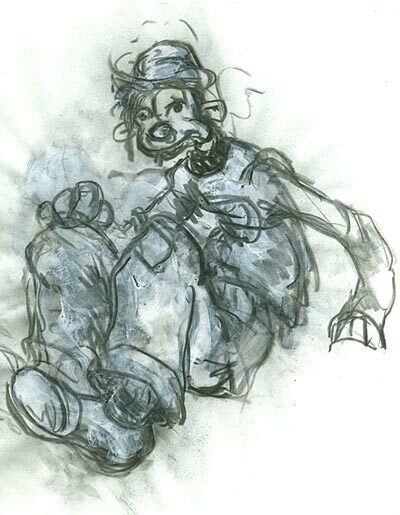 Visit Ralph’s web page… RalphBakshi.com. 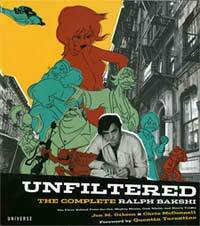 UNFILTERED: The Complete Ralph Bakshi isn’t one of those "art books" with postage stamp sized pictures floating in oceans of tasteful white space and huge text blocks of scholarly blather that crowds out the images. It’s just pictures, pictures and more pictures… along with just enough text to put them in context. 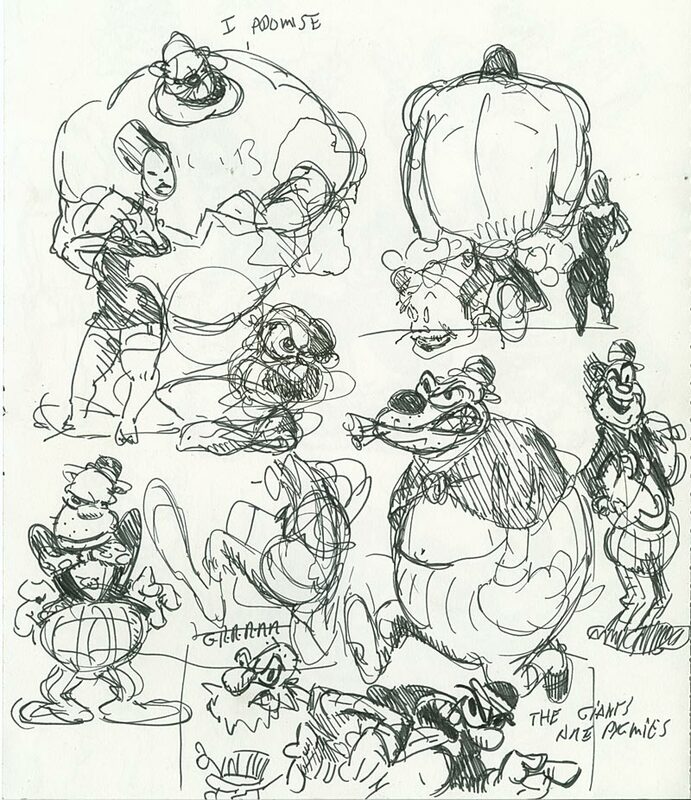 The book is organized to show Ralph’s career from his earliest days at Terry-Toons, to his groundbreaking features, to his revolutionary TV work, to his most recent fine art paintings. Even if you think you know all there is to know about Bakshi, this book will grab you by the lapels and shake you and show you things you’ve never seen the likes of before. 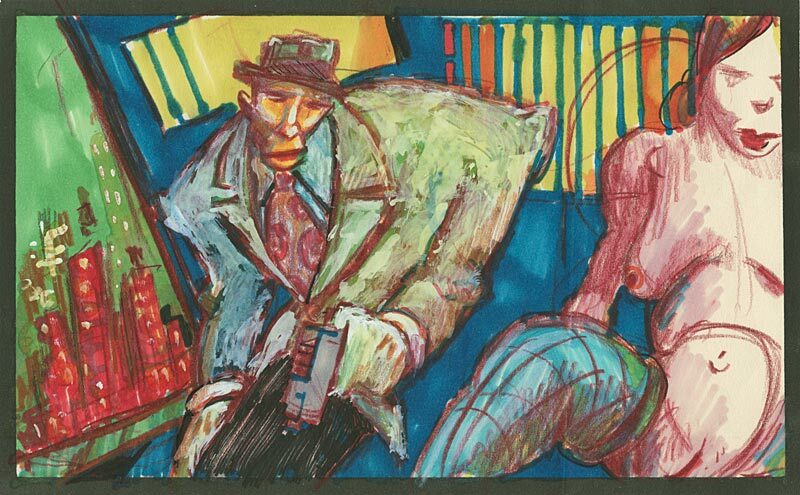 Click through the link to pick up the Bakshi book at Amazon. This entry was posted on Wednesday, September 12th, 2018 at 12:43 PM	and is filed under bakshi, biography, cartooning, cartoonist, drawing.